Happy Christmas season! 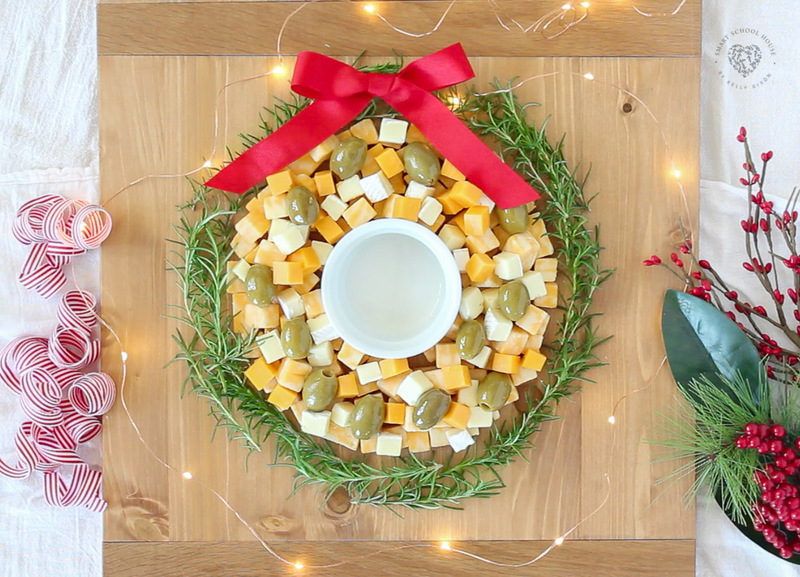 Today I have a fun and quick tip for how to make a cheese wreath! 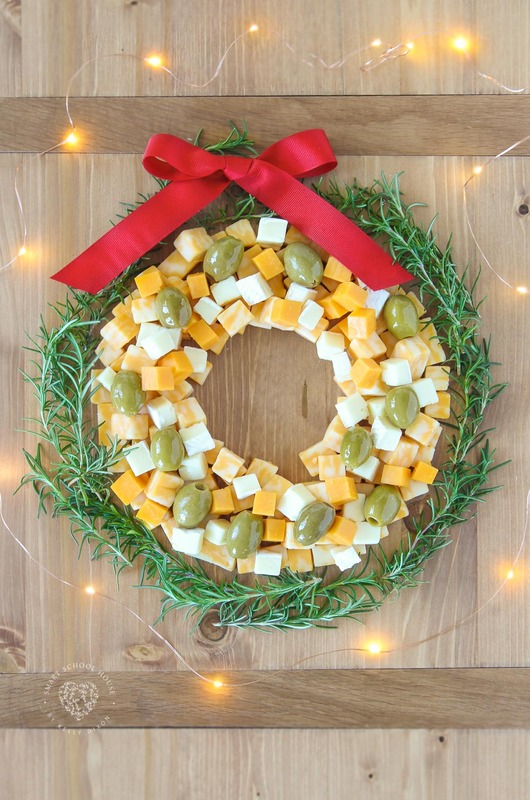 I’ve always thought cheese wreaths look festive and fun. 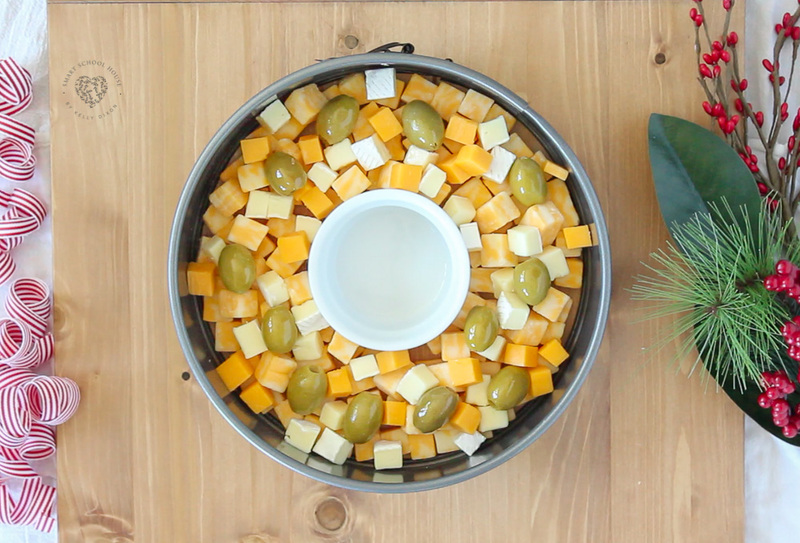 We always have cheese appetizers around at any get together so this is a way to make things cute! 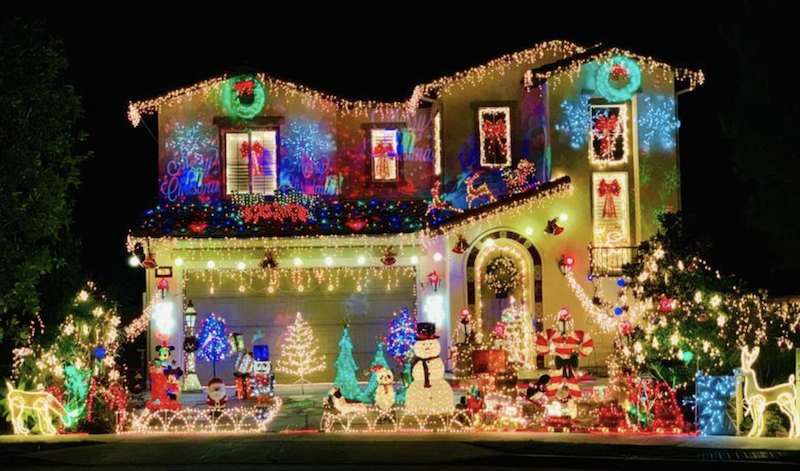 Can you imagine how many kids walk and drive by these homes and smile? 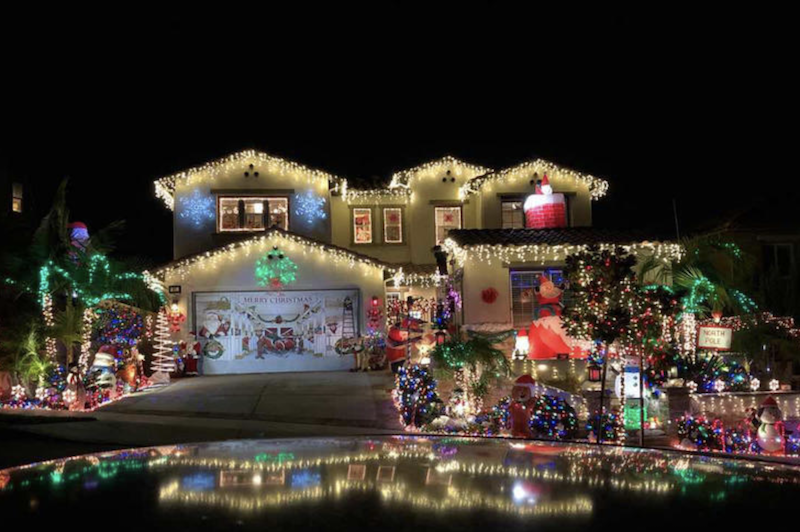 This neighborhood sure does know how to spread the holiday cheer! Check out how to make one for Christmas ever in this video! Isn’t that fun and easy? If you don’t have a small ramekin, you can use a cup or anything circular. 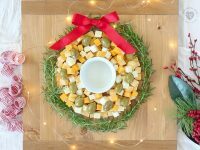 We think this cheese wreath would be fun with this Christmas Rosé and these turkey meatballs. We are so excited for Christmas! Add a bow on top!